Depending on who you ask, the Bible makes only vague references to cannabis or is entirely silent about it. 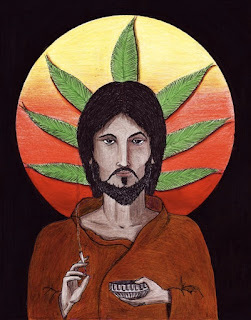 The assumption commonly drawn from this is that cannabis was unknown to the writers of scripture. In fact it now appears more likely that a wide variety of intoxicants were known and in use throughout the ancient near east during and long before the time the of the Old and New Testaments. So jumping to conclusions based on alcohol-related references alone may yield an incomplete theology, at best. 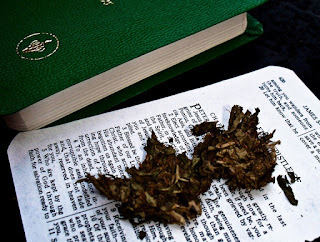 In this two part blog, we will be exploring not only what the Bible directly says (and doesn’t say) on this subject, but also the reasons why people have had such a long and consistent history with substances that effect our minds and bodies, specifically cannabis. A recent review of decades of archaeological research concludes that humans worldwide have been using psychoactive substances including opium, alcohol and “magic mushrooms” since prehistoric times. Many cities that loom large in the biblical narrative were on trade routes where traders, refugees, soldiers and travelers alike passed through, bringing with them their cultural practices and goods of all kinds. So the scripture came from a world where a variety of these substances would have almost certainly been known. Given that, if use of these substances was a matter of serious concern to the pursuit of a holy life, we would similarly expect to find scriptural guidance on their use, as we find on so many other issues. Yet both broad and specific mentions of substance use is limited, at best. 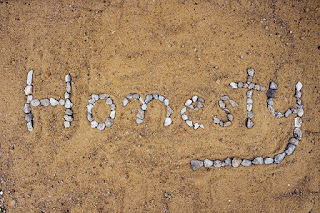 Could it be that the relative silence on this topic is actually more telling than the few things actually said? In light of the principle quoted by the Apostle Paul in 1 Corinthians 4, the better part of wisdom may be to simply avoid going “beyond what is written” and avoid creating prohibitions on the basis of scripture, because they largely don’t exist. So what does the Bible say about the use of psychoactive substances? The short answer is, not a lot, and nothing specific. The obvious exception is alcohol which is mentioned fairly extensively. Some mentions are positive, no mentions advise absolute abstinence for all people, but many are cautionary and warn against abuse. With what we know now from seeing the impacts of alcohol abuse for generations, this just seems reasonable and strongly reflective of wisdom. It also shows something important: the writers of both New and Old Testaments recognized that while alcohol could be enjoyed in moderation, they felt it necessary to strike a cautionary tone and explicitly warn against alcohol abuse. In light of this then, it is even more interesting that other substances, which they would have been aware of, did not rise to a level of concern that even warranted a specific mention. We can only guess as to the reasons for this absence, but it is conspicuous. Nonetheless, we have no license to turn this into an argument that scriptural authors supported unrestrained use of any substance. Even gluttony for food is warned against, and it’s instructional to note the reasons why. Proverbs 23:7-9 for instance, is warning against allowing food to set your goals toward gaining riches for yourself and trusting in yourself rather than in God. Similarly, David warns that enjoying the delicacies and hospitality of rich evildoers can lead you to take part in their kind of lifestyle (Psalm 141:4). Jesus words in the parable of the rich fool in Luke 12 warns against selfishly hoarding for yourself what could better be shared. What’s interesting in these examples is that the reason for the warning is not that there’s anything wrong with food (of course), but that the focus on food in excess can lead to bad life choices and selfishness. Instead, we should depend on God for our provision and be generous with what we have. So why has humankind been so drawn to use and enjoyment of psychoactive substances? We explore this in part 2. Follow Jesus & Jane on Facebook and join the discussion or subscribe to our blog for updates.